Bus 1 is visiting Greece now, particularly interesting! We stayed in Athens yesterday, in an area that used to be very vivid, with lots of shops, restaurants… Sad to see so many empty buildings and closed doors nowadays. Fortunately, there are some signs of hope too, and new people (often migrants) start to give the neighborhood some color again, opening new businesses. Since February 2017, there is a system of MIS in Greece, be it nor adequate nor accessible enough. 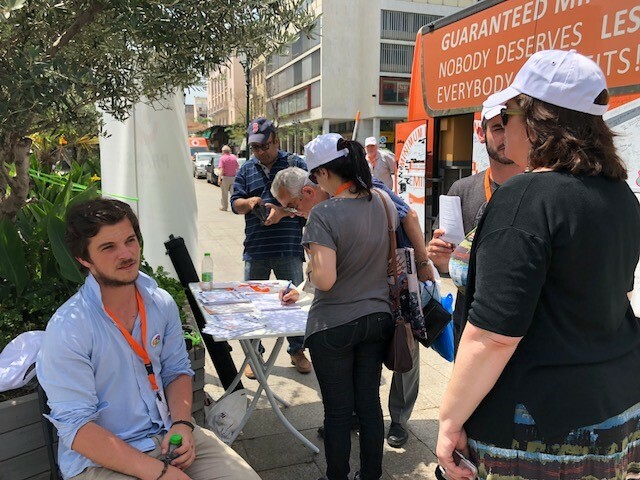 We had a public event on Kotzia square in Athens, opposite the Old City Hall, we talked to so many people who were not even aware of the existence of the Greek MIS, some of them were eligible! Being here with the bus feels so important and sharing information to those people is a real added value of our tour. Obviously, the situation in Greece is so difficult, there is a lot of anger towards the institutions, a lot of despair, but after talking to people, the conversations change, and our support is so welcome and needed! 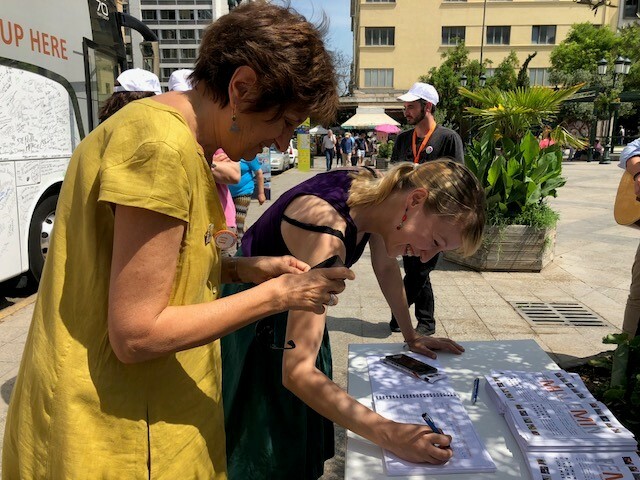 People were very happy to sign the petition! Sometimes it does feel like bringing hope to people – and give the chance to talk. 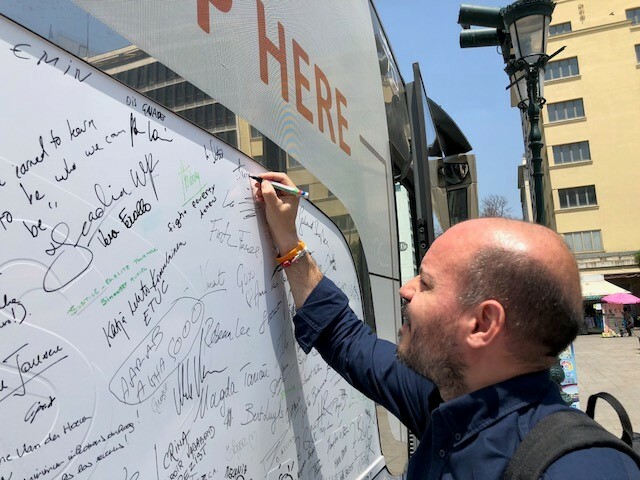 Representatives of civil society organisations and decision makers also visited the bus and signed, including Maria Stratigaki, Vice Mayor for Social Solidarity and Health, and Lefteris Papagiannakis, Vice Mayor for Migrants and Refugees, and Dora Papademitriou, Mayor Advisor. Today we’re on the road again, on our way to Thessaloniki.